We might not have real working hoverboards yet, but somehow Scalextric has done the impossible with a slot car set that allows up to six individually-controlled cars to race on a single two lane track. Clever engineering, or just downright sorcery? 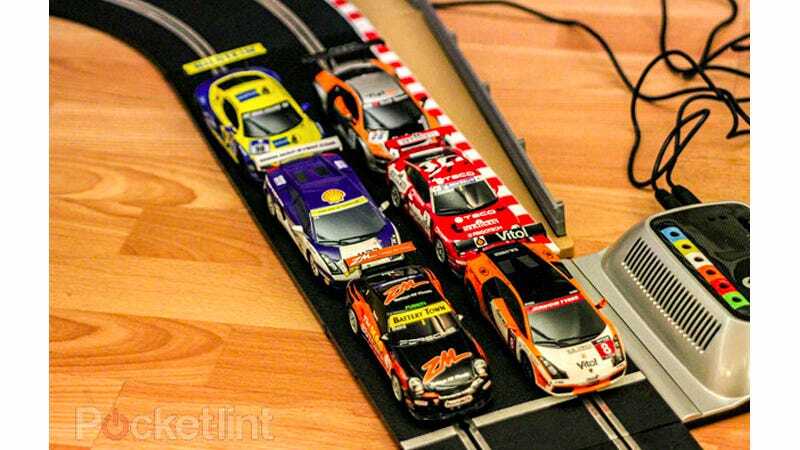 The Scalextric Digital series uses a special control unit that assigns each car a unique ID so that even though two vehicles might be sharing the same lane, they can each be controlled by a different pistol grip remote. That's simply mind-blowing. You can even tweak the cars' handling and sensitivity for novice or experienced drivers, or handicap a particularly skilled racer to level the playing field. The $800 Scalextric Digital Platinum set—which Pocket-lint put through its paces—even comes with a highly-detailed set of sports cars including pairs of Porshce 997s, Lamborghini Gallardo GTs, and Audi R8s.